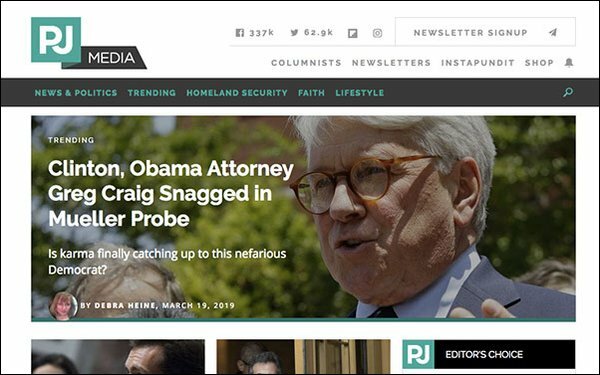 Salem Media, the California-based Christian conservative radio and digital media company, will add PJ Media to the portfolio of its affiliate, Townhall Media, which includes Townhall, HotAir, RedState, Twitchy and Bearing Arms. Salem Media operates 117 radio stations in 38 markets. Townhall Media vice president-general manager Jonathan Garthwaite said the company's "reach at a critical point in our nation's history grows tremendously with PJ on our team." The company claims the addition of PJ Media will increase Townhall Media’s reach to over 15 million unique readers each month. PJ Media was founded in 2004 by novelist and screenwriter Roger Simon and blogger Charles Johnson. Salem Media recently sold Human Events to Raheem Kassam, the former editor in chief of Breitbart London, and lawyer Will Chamberlain. They pledge to bring new life to the conservative site. Some conservative media companies have dealt with recent changes in the landscape. TheBlaze and CRTV merged in December 2018, and its audience has surged 143% over the past year. It is now the second-largest right-wing political news source in the nation, behind Fox News. The Weekly Standard was shuttered a few months ago, while its sister publication Washington Examiner is expanding for national distribution. Jonah Goldberg, senior editor at National Review, and Stephen Hayes, former Weekly Standard editor-in-chief, are creating a conservative media company that will begin publishing newsletters this summer, with a website coming in September.